Book a night at our hostel and we offer a free walking tour of athens. Visit all the major sites in this comprehensive tour. Time to see and fully enjoy each site. Entrance fees not included, now extended! Book a day sailing trip on our yacht. 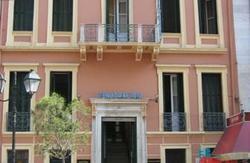 Zeus hostel is a picturesque building in the center of athens. It is conveniently situated close to rail, bus, subway stations, banks, mail facilities, super markets, coffee shops, restaurants, nightclubs, mall shops, galleries and the national archaeological museum, are all within easy walking distance from zeus hostel. All the main attractions that athens has to offer as acropolis, temple of olympian zeus, the first olympic stadium , the old center plaka with it's famous open air greek restaurants and the monastiraki flea market , all of them (and much much more), just 5 minutes from zeus hostel!!!! Our hostel offers you double rooms and quad rooms shared or private, female or mixed with either private or separate bathrooms to suit all your needs. Some rooms also have balconies. The hostel's friendly and international staff can also help with any information you may need.the reception is open 24 hours so we can be at your service at any time and to provide you 100% security to feel just like in your own home! Hot showers are available 24 hours. Please note that cancellations are only accepted if sent via e-mail. 24 hours prior to 13.00 pm, check in time. 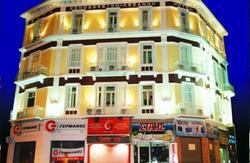 5 Minutes walk from Monastiraki and the Acropolis. From train station: - about 5 minutes walk from Peloponnese train station - catch metro from (Larissa Metro Station) on the red line to Agios Dimitrios direction and get off at Syntagma. From Syntagma take the metro to Monastiraki and from Monastiraki go to Athinas Street and after a 5 minute walk turn left in Sofokleous Street and continue till no. 27 which is the hostel. If the metro is not running you can walk to Monastiraki metro from Syntagma down Ermou street. Or you can take a taxi 3-5 Max. You could catch the bus X95 to Syntagma Sq. From Syntagma take the metro to Monastiraki and from Monastiraki go to Athinas Street and after a 5 minute walk turn left in Sofokleous Street and continue till no. 27 where the hostel is. From Pireaus - catch the metro to Monastiraki.and from Monastiraki go to Athinas Street and after a 5 minute walk turn left in Sofokleous street and continue till no. 27 where the hostel is. The metro tickets costs approx. 1.50 or you can buy a 24 hour ticket which costs about 4 and can be used for trips to the airport and city buses. The metro ticket from the airport to Athens costs around 8 . And the bus ticket 5 .